Located in a quiet, nice neighborhood, the ibis budget hotel offers its guests top quality services and friendly atmosphere. The attentive personnel will help guests to organize their stay in Krakow and give them all the tourists information. Nearby guests will find such attractions like the Wolski Forest, KoĹciuszki Hill and the Zoo. In the lobby and breakfast room guests can use the wireless Internet. 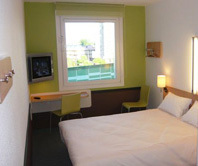 The ibis budget offers 120 modern design cozy rooms for very reasonable prices, including 88 non smoking rooms. Guests can choose among single, double and triple rooms. There are 4 rooms for the disabled. In the morning guests will savor delicious breakfast buffet prepared from fresh local products. 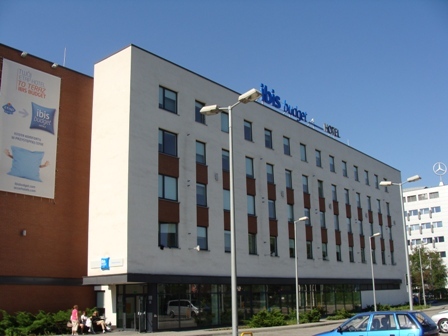 The ibis budget is located at the road E40, close to the A4 highway to Katowice (80 km). The city center is easily accessible and set only 4 km from the hotel.